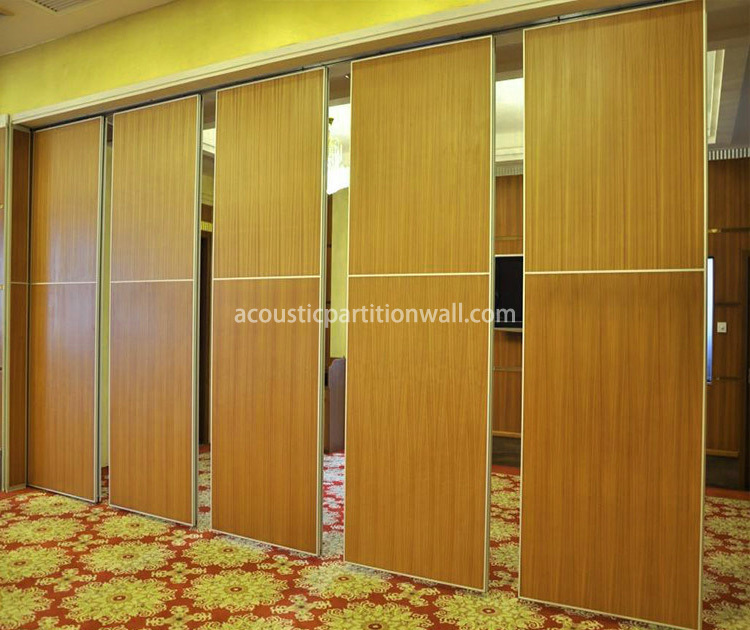 We are a leading factory of acoustic movable partition, including: economic partition, standard partition, deluxe partition, super high partition and partition with doors inside. Our movable acoustic partitions provide flexible sight and sound separation, enabling our product users to control and shape their space. 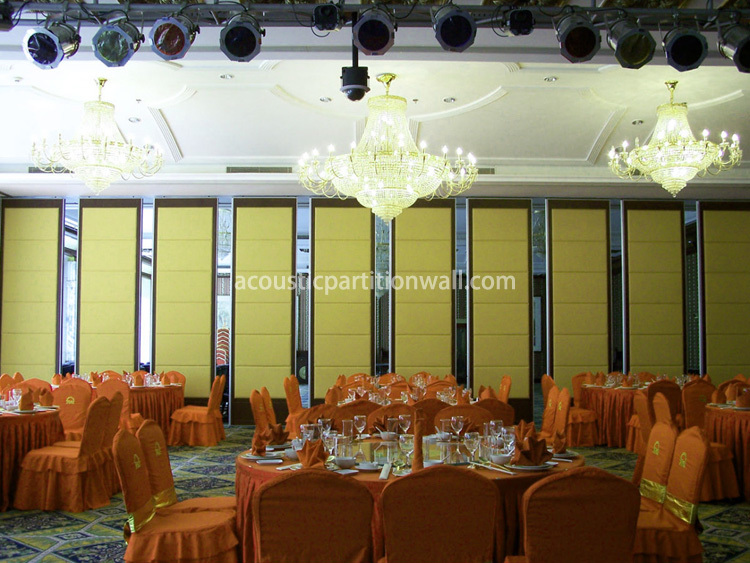 With years of experience, our movable partition screens are installed in many countries from the convention center and entertainment venues to local schools, hotel banquets and retail outlets. Unlike traditional fixed partition, our movable partitions on wheels move horizontally through the openings. Our movable room partitions are recognized worldwide for their high quality, design flexibility, acoustic performance and durable durability. Combining the beauty of decorative panel and acoustic features of the partition and installed through narrow slots on the ceiling, our removable partition allows block or absorb noise while providing space flexibility. 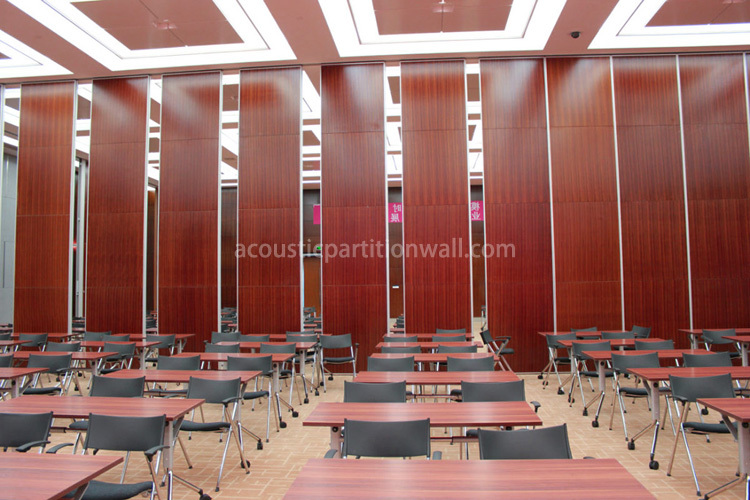 Also known as ultra high partition, super high partitions are an ideal sight and sound divider for high ceiling rooms that require frequent flexibility in space division. Door in door is an independent door system that integrated into any of the movable partition above, allowing people to enter or exit without changing the status of movable partition. 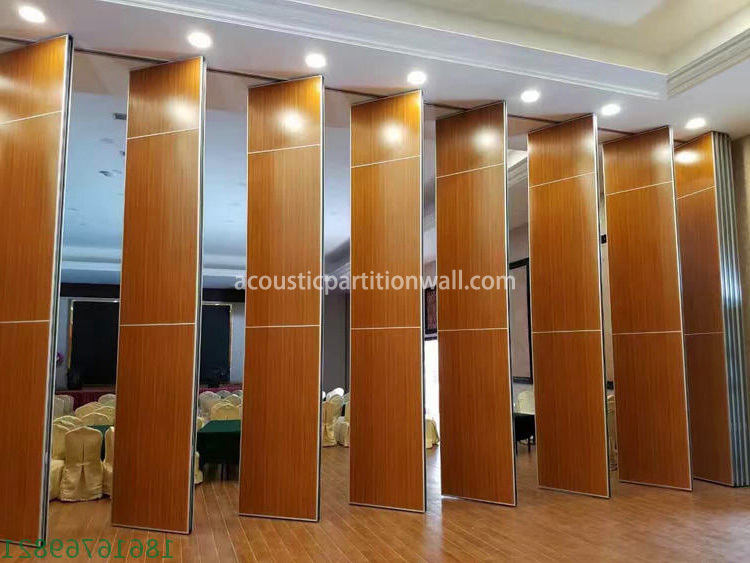 to used in convention centers, our movable partition system is also widely used in hotel, coffee room, exhibition centers, exhibition center, colleges, art hall, restaurants, auction center, universities, KTV, offices, testing center, bowling centers, airport, library, etc.